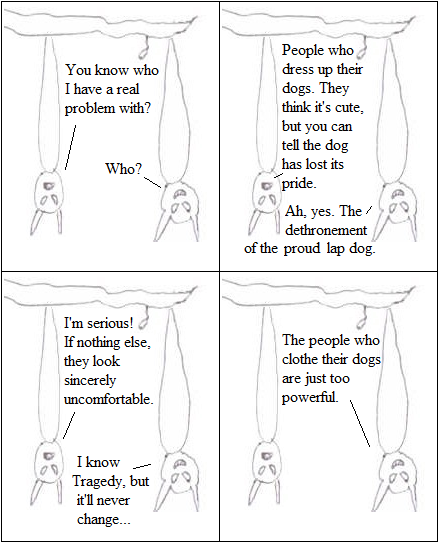 Inspired By True Events - Those dog sweater-owning bastards! I’m not sure how happy I am with this one, but it’s been a long day, and having no artistic talent’s really slowing me down. In other news, I’m thinking about starting a new storyline. Maybe next week? Next week, maybe. They have powers far beyond your comprehension.